Captain Frank’s dessert pick for Christmas is a playful cheesecake that will go down a treat with both adults and kids – he’s never the one to make it… but he sure does love to eat it! Time to serve. Image – Sea Sydney Harbour. Combine biscuit crumbs and butter then press into the base of a greased and lined 22cm round springform pan. Chill. Beat the cream cheese, caster sugar and vanilla with an electric mixer until smooth. Stir in gelatine and peanut butter, then fold through cream. Pour mixture over prepared base. Chill for 3 hours or until set. Heat sugar in a saucepan over a medium-high heat, without stirring, for 2 minutes or until sugar begins to melt. Continue cooking, stirring occasionally, for 2-3 minutes or until golden. Remove from heat and carefully add extra cream. Stir until smooth. Allow to cool. 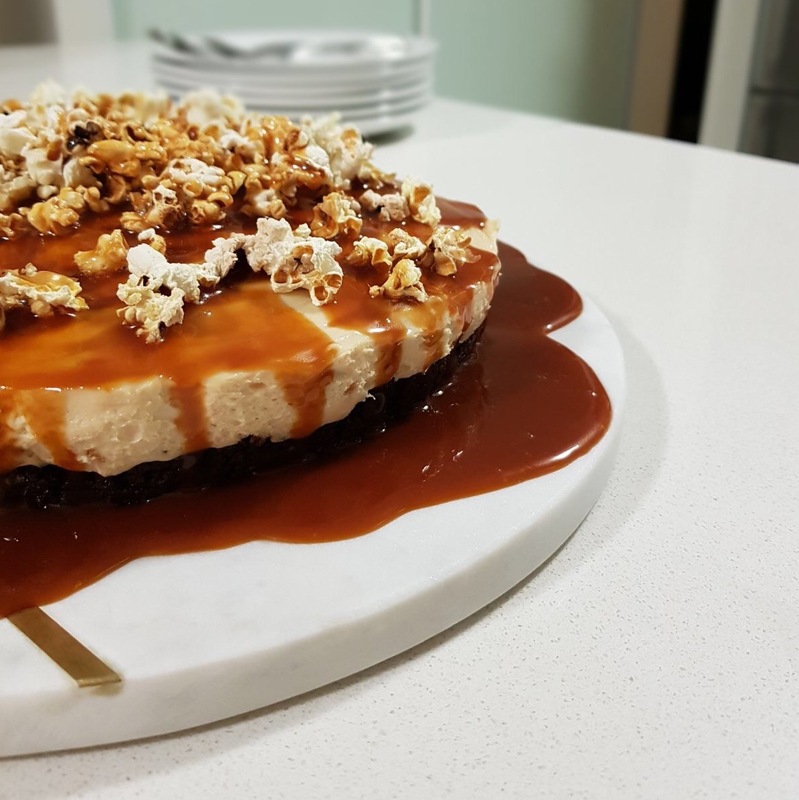 Top cheesecake with popcorn and drizzle over sauce. Serve immediately. Do you have a dessert idea that you would love to share? We would love to see it as Captain Frank and the team enjoy tasty food both on land and on water! Share your dessert selections on Instagram.